TALLAHASSEE, Fla. — October 11, 2012 — Three conservation groups are threatening court action to protect endangered loggerhead turtle nesting areas, mainly on Florida's east coast. They filed a 60-day notice of intent to sue on Thursday against the National Marine Fisheries Service and U.S. Wildlife Service. A spokeswoman for Oceana, the Center for Biological Diversity and the Turtle Island Restoration Network said they hope the notice will lead to an agreement before they go to court. The groups allege the federal agencies have failed to designate critical habitat protection for the turtles. That designation would safeguard nesting, feeding and migratory areas. It also would prohibit federal projects that could destroy or harm those areas. A Fisheries Service spokeswoman said the two agencies are planning to designate critical habitat but it's a lengthy process. October 8, 2012 — Gulf Coast fishermen and their families from Florida’s 2nd Congressional District will gather today in Panama City to present U.S. Rep. Steve Southerland, R-Fla., with the 2012 Fishing Champion award for his support of coastal fishermen. 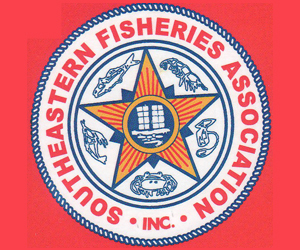 Southerland will receive an award for being a champion of the fishing industry, Recreational Fishing Alliance executive director Jim Donofrio said in a statement. "Mr. Southerland's honesty, integrity and candor have been welcomed traits in the fisheries debate in Washington, D.C., especially in the face of some very tough opposition from the radical zealots who would prefer to trample on America's public access rights to healthy and sustainable natural resources," Donofrio said. The award will be given at a fish fry that will be held from 5:30 to 7 p.m. at Capt. Anderson's Marina at 5550 N. Lagoon Drive. Southerland joined a coalition of seven Gulf Coast lawmakers in urging the Department of Justice to adhere to the Restore Act's payment structure for BP fines collected as a result of the Deepwater Horizon oil spill. The letter, addressed to U.S. Attorney General Eric Holder, comes amid recent news reports that BP and the Department of Justice might be trying to get around the legislation, which directs millions and possibly billions of dollars in oil spill fines to the Gulf Coast. "The Restore Act is the result of a collaborative effort that included the communities hardest hit by the Deepwater Horizon oil spill," Southerland said in the statement. "To withhold justice from the people who live along the Gulf Coast and endured the economic nightmare of this disaster would be a blatant violation of the role of government. I believe that fine monies should be processed through the Clean Water Act, as was approved by Congress and signed into law by the president." On Tuesday the RFA state chapter in Jacksonville will host an anglers’ rally with U.S. Rep. Ander Crenshaw, R-Fla., starting at 6:30 p.m. The event is being held at Sneakers Grille, 8133 Pointe Meadow Drive, in Jacksonville and is open to the public. GLOUCESTER, Mass. — October 6, 2012 — The small reddish-orange shrimp appear briefly in mid-winter in fish markets, a favorite served as a holiday appetizer. But the period that these sweet-tasting shellfish can be purchased will likely get shorter. These are Gulf of Maine northern shrimp, Pandalus borealis, the only locally harvested shrimp. Their slightly tacky texture when served raw as “Ama Ebi” makes them popular in sushi restaurants. They are caught by a handful of boats from Gloucester and New Hampshire with the center of the fishery, involving more than 275 boats, off the coast of Maine. As federal restrictions on Gulf of Maine cod and other groundfish have tightened, fishermen have increasingly turned to catching northern shrimp. The pressure on the stock has risen, surpassing the catch limit in weeks and forcing the fishery closed almost before it opens in recent years. The 2012 fishery surpassed the 4,000 metric ton limit by 2,000 metric tons in February, and that was that. A $4 million to $5 million boat price fishery, come and gone in a proverbial flash. 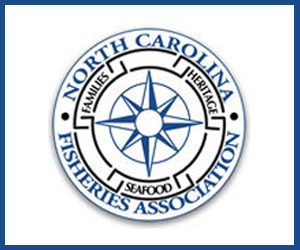 The competitively abbreviated shrimp season has moved the Northern Shrimp Section of the Atlantic States Marine Fisheries Commission to begin drafting a new system for managing this easily overlooked yet important and even fascinating sea creature and source of income for fishermen. Among its unique characteristics, the Gulf of Maine northern shrimp — differently named, but a delicacy as well in Iceland and Scandinavia — is sequentially hermaphroditic. It begins life as a male and only after the age of about 3 1/2 years does it become a female, when it produces eggs and moves inshore, and there it is the target of harvesters, some of whom use trawls and some traps, while a few use both. This unusual biological survival strategy creates critical need for a fishery that avoids taking the smaller males in order to ensure a critical mass of females and the survival of the fishery. As it is for most species, complicating matters is the sensitivity of the shrimp to water temperature which have been more than 2 degrees higher than historic levels in recent years. A suite of options for improving the management of Gulf of Maine northern shrimp has been presented at public comment meetings. The section team was in Gloucester on Thursday night to take comment and ideas. The short-term management regimen is expected to be decided and approved in November. Michael Waine, chairman of the Northern Shrimp Section, said in a telephone interview Thursday that the commission, made up of ocean states with authority over stocks that remain largely inside the 3-mile boundary for federal waters, has been managing the shrimp via a “soft” catch limit — without penalties. October 5, 2012 — The Alliance of Communities for Sustainable Fisheries (ACSF), formed in 2000 to represent the commercial and recreational fishing interests of the six harbor communities in the central coast of California, released a statement opposing the expansion of the Monterey Bay Marine Sanctuary. The ACSF represents an area that includes the current sanctuary. The ACSF's letter of opposition explains why regional fishermen oppose expansion of the Sanctuary and believe that it should instead focus on improving its governance and community relations. NEW BEDFORD, Mass. — October 1, 2012 — With an invocation to "bless, preserve and protect" the city's fishermen, the ninth annual Working Waterfront Festival wound down Sunday afternoon with its traditional blessing of the fleet ceremony. The yearly festival takes over three piers each September to showcase the city's commercial fishing industry and the people who work in it with boat tours, talks, music and even a fish cook-off between professional chefs. The festival's theme this year was "fish tales," and speakers were brought in to explain the facts and fictions, myths and legends of the ocean and the men who fish it, said Kirsten Bendiksen, associate festival director. The highlight of Sunday was the 43rd blessing of the fleet, an event that was incorporated into the festival years ago. The blessing takes place both on the water and on land and beseeches divine protection for fishermen, whose job ranks among the most dangerous in the nation. Delivering the invocation, the Very Rev. Constantine S. Bebis, of St. George Greek Orthodox Church in Dartmouth, asked for the fishermen of the city to be protected from the "deep, ferocious waters of the Atlantic." While the fleet was quietly blessed inside the State Pier's ferry terminal, the festival continued outside with plenty of food, music and shopping for anyone willing to brave the overcast skies and occasionally damp afternoon. For anyone brave enough to chance the weather, there was plenty of action on the pier. Later in the afternoon, a cook-off between Mike Fuller, a chef at Massachusetts Maritime Academy and Henry Bousquet, a culinary arts teacher at Greater New Bedford Regional Vocational-Technical High School and city councilor. The two faced off an Iron Chef-esque culinary showdown with each having an hour to prepare redfish, a species that is under-utilized, festival director Laura Orleans said. "There's not a big market for it, but it's delicious," she said. Organizers said the crowds were as big as last year's. BOSTON — October 2, 2012 — Yes, the summer is fading into memory but lobsters are still tasty, inexpensive and timely to eat: Oct. 6 is Massachusetts official Lobster Day. Because you may not know everything about the crustacean – or those that fish them – here are some lobstah tidbits, courtesy of the Massachusetts Lobstermen’s Association and Massachusetts Division of Marine Fisheries. * There are 52 ports in Massachusetts that have commercial lobster trap fishermen. * In 2011 over 13.7 million pounds of lobsters were commercially landed in Massachusetts. Of that figure, approximately 8 million pounds were caught in state waters. * This total generated a gross income of $54,649,765.00 for the lobster fishermen who reported landings. * This income also generated approximately $250,000,000 for the economy through lobster fishermen to marine suppliers, bait dealers, lobster dealers (wholesalers, retailers & restaurants), trap and rope manufacturers, fuel sales, boat and engine builders, banks and insurance companies. The Massachusetts lobster fishery is this states’ most valuable state waters single species fishery. Only the State of Maine exceeds the Commonwealth in the entire United States in the size and value of its American Lobster (Homaurus Americanus). * At certain times of the year Massachusetts lobsters are a vital source of the world supply and therefore contribute lobster not only for the local needs and tourist businesses here in Massachusetts, but also supply the rest of the United States, European and Asian markets. At other times it’s a combination of Massachusetts and Maine product that is the major world supply. In the winter months it is primarily Canadian product coming to Boston and then out again that supplies the world demand. * The average lobster trap costs $60 per trap and the rope for that trap averages $8. Buoys can range from $5 per buoy to as high as $25. Buoy loss is a major problem with boats and ships breaking off the buoys. October 2, 2012 — From shipwreck discoveries to sea turtles, Coast Day 2012 lectures will cover research and rescue efforts under way near Delaware’s shores. Coast Day is set for 11 a.m. to 5 p.m., Sunday, Oct. 7, at the University of Delaware’s Hugh R. Sharp Campus in Lewes, and all lectures will be in the Cannon Lab in Room 202. The series kicks off at 1 p.m. with Mike Greco, fisheries scientist with the Delaware Division of Fish & Wildlife, explaining “Bottom Trawl Surveys of the Delaware Bay.” Greco’s presentation will focus on the state’s stock assessment surveys used to monitor the status of important species populations and to maintain the health and productivity of the fishery. At 2 p.m., Art Trembanis, UD assistant professor of geological sciences and oceanography, will discuss “Exploring the Wreck of the WR Grace.” Trembanis will recount his research group’s identification of a shipwreck caused by a hurricane that occurred more than a century ago near the coast of Cape Henlopen. At 3 p.m., the lecture is “Marine Mammals and Sea Turtles of the Delaware Coast” with Suzanne Thurman of the Marine Education, Research and Rehabilitation Institute. Thurman will speak about sea turtles and marine mammals and the conservation of these and other sea creatures. “These lectures give Coast Day attendees a chance to delve into topics of local interest and ask questions about what’s happening in the field,” said event chair John Ewart of Delaware Sea Grant, which presents the event with UD’s College of Earth, Ocean and Environment. 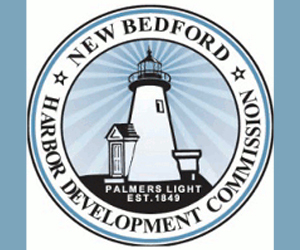 Coast Day is sponsored by DuPont Clear into the Future, Overseas Shipholding Group Inc., UTEC Survey Inc., WMDT-CW-3, Delaware Department of Natural Resources and Environmental Control, and the National Oceanic and Atmospheric Administration. 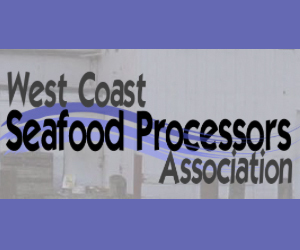 SEAFOOD.COM NEWS [Seafoodnews.com] — October 2, 2012 — Seattle, WA, Glenn Reed, President of the Pacific Seafood Processors Association, announced today that Captain John V. O'Shea has joined PSPA as Vice President — Alaska. “Vince O'Shea has had a long history in fisheries policy issues at both the regional and national levels. He understands Alaskan fisheries and is well known by the industry. We are delighted to have such a well respected and experienced executive join our team. He brings great strengths to our efforts to develop sustainable solutions to the wide range of state and federal regulatory issues affecting our members,” said Reed. Captain O'Shea spent more than 30 years in the U.S. Coast Guard, much of it dealing with fisheries law enforcement policy and operations at the national and regional levels, including the North Pacific. He spent nine years in Alaska, in command of the Ironwood in Kodiak, and later on the senior staff in Juneau, where he was also the Coast Guard designee to the North Pacific Fishery Management Council. For the past 10 years, he has been the Executive Director and CEO of the Atlantic States Marine Fisheries Commission, an interstate commission organized by the 15 Atlantic states to cooperatively manage their shared marine fisheries resources. In addition to overseeing the administrative operations of the Commission, he sat as a non-voting member on the three Atlantic regional fishery management councils and represented the interests of the Commission before Congress and NOAA. “I am excited about joining PSPA and returning to Alaska. The fisheries of the North Pacific are well known for being one of the best managed fisheries in the world and account for well over 50 percent of the seafood produced in America. 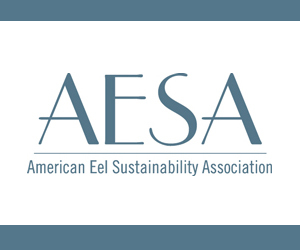 PSPA member companies serve the critical role of getting those resources from the ocean to the public's dinner plate, while creating markets for fishermen and tens of thousands of jobs in Alaska and Washington, all on a sustainable basis,” said O'Shea. Captain O'Shea will be based in PSPA's Juneau office, representing PSPA before state and federal agencies, the Alaskan Legislature, the North Pacific Fishery Management Council and the State Chamber of Commerce. 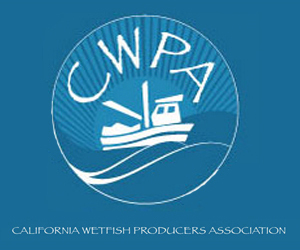 PSPA was formed in 1914 and represents the North Pacific seafood processing industry in state and federal regulatory issues. Its member companies participate in virtually all of Alaska's fisheries and own and operate shoreside and floating processing plants throughout Alaska. Seafood.com is a supscription website. The article is reprinted with permission. MACHIAS, Maine — October 1, 2012 — Maine fishery officials are holding public hearings on proposed rules for the upcoming scallop fishing season. The Department of Marine Resources has proposed rules that create three scallop zones along the coast, with some localized areas in eastern Maine being open and closed to fishing year-to-year on a rotational basis. For the coming season, regulators are proposing a 64-day season beginning Dec. 2 and ending in March for the entire coast except Cobscook Bay in far eastern Maine. Two options are being put forth for Cobscook Bay, with different season dates and catch limits. The Draft Amendment presents a suite of options to manage and monitor the stock in both the short and long-term. These include options to end overfishing; change the biomass reference points to match the fishing mortality reference points; and establish a specification process to set and allocate total allowable catch (TAC), including procedures to close the fishery when a certain percentage of the TAC has been projected to be landed. It presents accountability measures to address quota transfers, rollovers, and overage payback, as well as options to allow for a specified amount of the TAC to be set aside for small scale fisheries and episodic events. To address monitoring and data collection needs, the Draft Amendment also presents options for timely quota monitoring and the collection of biological data through catch sampling. The Draft Amendment responds to the findings of both the 2010 benchmark stock assessment and the 2012 stock assessment update that indicate the stock is experiencing overfishing but may or may not be overfished depending on the reference points chosen. The stock is not overfished based on the current reference points used in the most recent assessment. 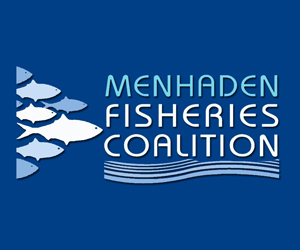 Given that the stock is experiencing overfishing, the Draft Amendment’s immediate goals are to take steps to end overfishing and manage Atlantic menhaden not only as a fishery but as a critical ecosystem component. However, uncertainties in the 2012 stock assessment update make it difficult to quantify the level of reductions needed to meet those goals. Therefore, the Draft Amendment includes a range of harvest reductions from 0 – 50% from current harvest levels. The broad range of potential harvest reductions and allocation scenarios enables the Board and the public to consider management options beyond the historical allocations and traditional quota setting approaches to best manage this fishery. The Technical Committee plans to address the issues with the stock assessment in the next benchmark assessment, currently planned for 2015. Final action on the Amendment is anticipated to occur in December; information on that meeting will be announced once it has been finalized. 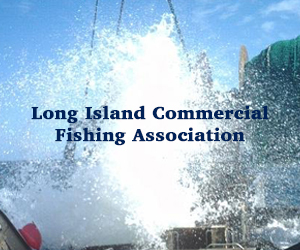 Fishermen and other interested groups are encouraged to provide input on the Draft Amendment either by attending state public hearings or providing written comment. Draft Amendment 2 is available on the Commission website at www.asmfc.org under Breaking News or by contacting the Commission at 703.842.0740. Public comment will be accepted until 5:00 PM (EST) on November 16, 2012 and should be forwarded to Mike Waine, Fishery Management Plan Coordinator, at 1050 N. Highland St., Suite 200 A-N, Arlington, VA 22201; 703.842.0741 (FAX) or mwaine@asmfc.org (Subject line: Draft Amendment 2). For more information, please contact Mike Waine at mwaine@asmfc.org.